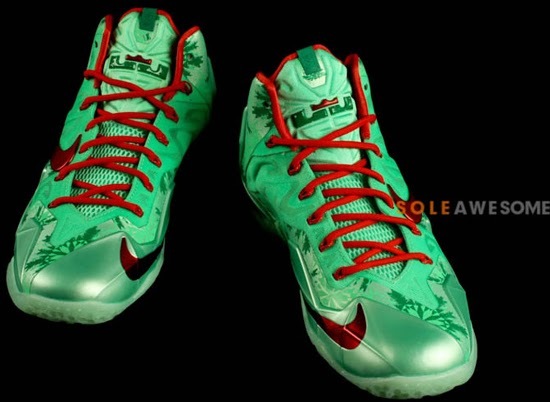 A first look at this years "Christmas" themed Nike LeBron 11. 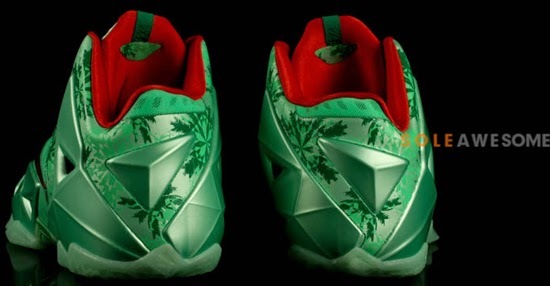 LeBron James will lace up this special edition colorway of the Nike LeBron 11 for this years annual Christmas Day game as the Miami Heat take on the Los Angeles Lakers. 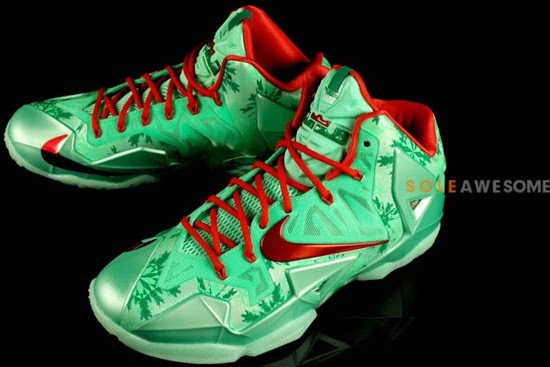 Known as the "Christmas" edition, these come in a green glow, light crimson and arctic green colorway. 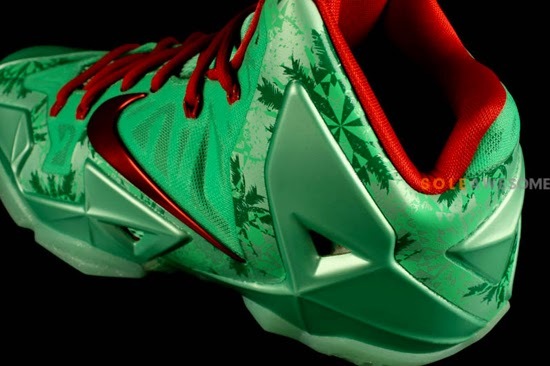 Featuring a green based upper with snow flakes throughout. 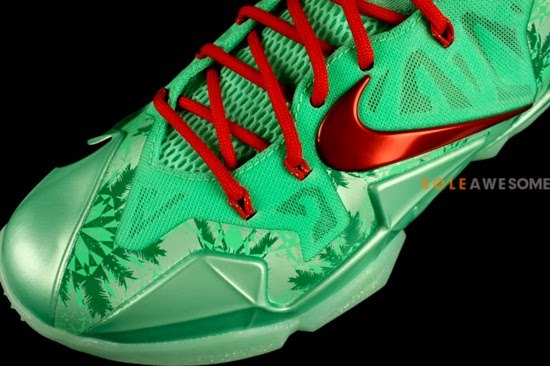 Red accents the Swoosh on the sides and toe area as well as the laces and sockliner while a translucent green gum colored outsole finishes them off. 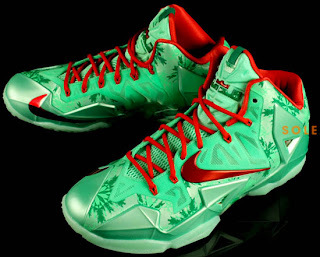 A limited release, look out for these at select Nike accounts worldwide on Thursday, December 26th, 2013. Retail is set at, $200 for men's and, they will also be available in GS (gradeschool) sizes retailing for, $140. 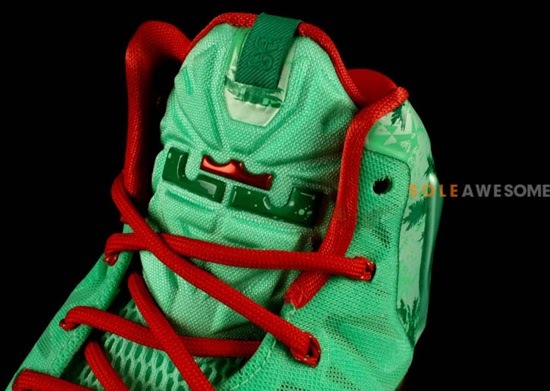 Enjoy the detailed images below of the "Christmas" Nike LeBron 11 in green glow, light crimson and arctic green. If you're interested in picking these up when they release, check in with your local spots to see if they will be receiving them. Those of you looking for a pair now can, grab them from eBay here.